Death Dispatch (Episode 2-13, December 1962). *I’m going a bit out of order, but eventually will get around to most of the good ones. The Cathy Gale series can be very spotty on quality. For every truly stellar episode, there are several mediocre ones and at least one or two terrible ones. Thank God for the good ones, though, because when they’re good, they’re very good. Which is where we stand with Death Dispatch. The plot follows Steed and Cathy investigating the murder of a British courier carrying special dispatches. When the courier is found dead in his Jamaican hotel, Steed heads off with the dispatches in tow and Cathy close behind. I’m still not 100% clear on the importance of the dispatches to the diabolical mastermind behind the murder – something to do with a South American coup – but only rarely does the plot matter in this series. What does matter is how much fun the entire episode is. Steed lounges onto the screen, flirting with girls by the pool while his superior One-Ten (one of the few appearances of Steed’s superior in the entire show) explains the basic plot. Then enter Cathy Gale, enjoying her Jamaican vacation immensely. There’s a marvelous scene between the pair when Steed invades her hotel room dressed only in a bathrobe. They banter, they flirt, they evidently enjoy each other’s company for the first time in the whole Cathy Gale series. 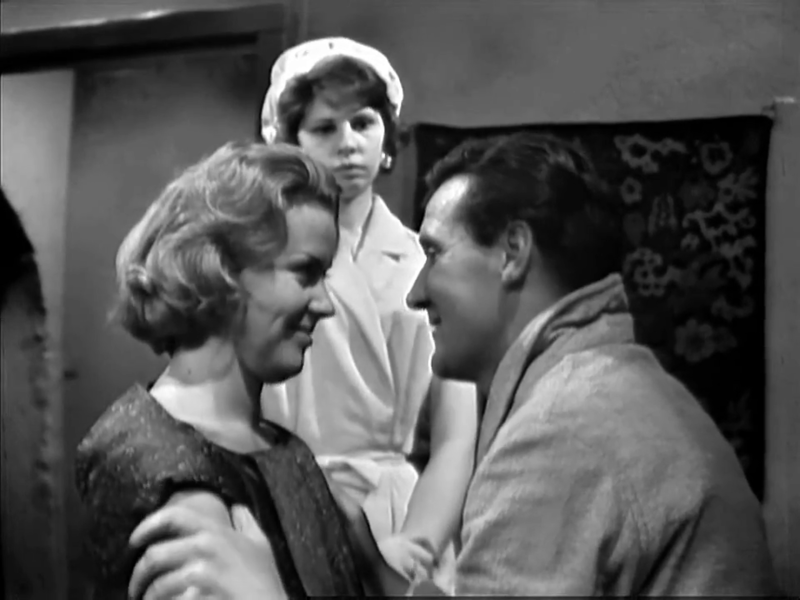 Up until Death Dispatch, Cathy has been a distant, hard-edged and slightly cold character, unimpressed by Steed’s antics but equally unwilling to enter into the fun of espionage. She must have been deficient in vitamin D or something, because her mood obviously improves the second she gets into the sun. She actually seems to be having fun with him. Death Dispatch also includes some of the best secondary characters to jump into The Avengers. The scene between Steed and the assistant British consul is one the funniest in the entire series. The villains all pop, and the danger Cathy gets into (which she finally does) is tense and well-shot. Steed also has his chance to let some of the darker elements of his character through, as he bludgeons and threatens his way to rescuing Cathy the moment he realizes she’s in danger. All in all, I would probably recommend Death Dispatch as the place to start with the Cathy Gale series. Although you won’t get the development of Steed and Cathy’s relationship, you will get one of the best, most tightly written and well-acted episodes. This is 60s cool at its finest.